C3X50001 Occasion Card - Seriously C3x50002 Occasion Card - Lost Weight? 3x5 Occasion Card, Blank Inside - Seriously 3x5 Occasion Card, Blank Inside - Lost Weight? C3X50003 Occasion Card - Drunk Dials C3x50004 Occasion Card - Any sweeter? 3x5 Occasion Card, Blank Inside - Drunk Dials 3x5 Occasion Card, Blank Inside - Any sweeter? C3X50033 3x5 Occasion Card, Blank Inside - You Crack Me Up C3X50034 3x5 Occasion Card, Blank Inside - OMG! 3x5 Occasion Card, Blank Inside - You Crack Me Up 3x5 Occasion Card, Blank Inside - OMG! C3X50049 Occasion Card Congrat's Don't F it up C3X50050 Occasion Card Do you like me? 3x5 Occasion Card, Blank Inside - Congrats! Don't F it up 3x5 Occasion Card, Blank Inside - Do you like me? 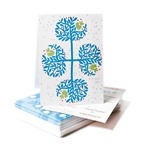 100% Recycled Notecard Set. 6 per pack with envelopes. Mod Floral Design. 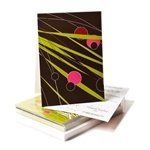 100% Recycled Notecard Set. 6 per pack with envelopes. Tree Lover Design. 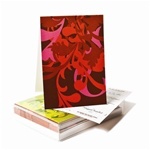 100% Recycled Notecard Set. 6 per pack with envelopes. Pink Lotus Design. 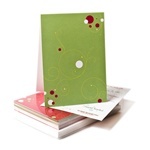 100% Recycled Notecard Set. 6 per pack with envelopes. Madame Butterfly Design.